In this post I’ll be using DD-WRT build 23320 and an ASUS RT-AC66U router to set up two “always on” VPNs (using openvpn) using username / password authentication. 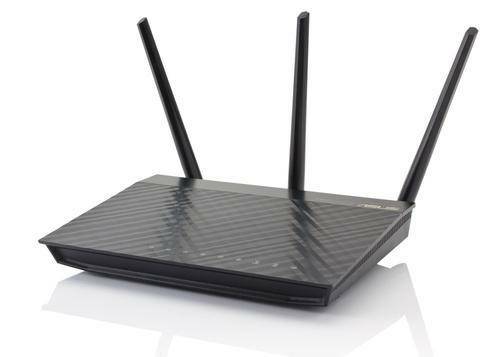 This router supports all the new wifi protocols and in theory has over 1Gbps ability using dual band, also supports 2.4GHz and 5.0Ghz band communication. I’ve used it with DD-WRT without any stability issues for more than 6 months now. 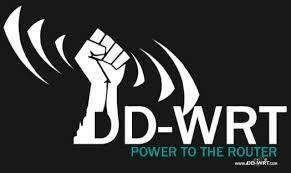 DD-WRT is one of my favourite linux distros, it’s specially made to work on home routers, APs and small appliances. You may download it from: http://www.dd-wrt.com and make sure your equipment is supported by looking into the router database. As I said, I’ll be talking about enhancing the standard functionality of openvpn in dd-wrt. OpenVPN is available on most of the DD-WRT appliances, nevertheless you can only have one vpn connected and it doesn’t support username/password authentication. DD-WRT enabled router (in this case ASUS RT-AC66U) with support for openvpn (mega version). OpenVPN endpoint* (in this examples we will be using 2 endpoints, one for country B and another to country C). User access to those endpoint (username/password/certificates). * as an endpoint you may use anykind of applyance or custom-made openvpn solution, if you want to build it fast I’d recommend you Endian FW, Pfsense, or your own OpenVPN installation. and the created a startup script that would read all those variables and create the config files. But as I said there’s a better way of doing it and that’s by using the startup option on the command menu that can be found under administration. We will create a unique script that will be read when the DD-WRT comes to live and startup our VPNs. Just go to press edit under the startup place older. You may insert the text bellow, I’ll describe what it does further on the post. If you know openvpn a bit deeper you may find odd that I’m not using LZO compression, this is done on purpose, LZO will limit the bandwidth available on the router because of cpu usage. In my case most of the traffic is already compressed (ssh, mp4, images, and so on). With LZO I would find my cpu near 100% with traffic around 25Mbps. So I prefer to disable it and compress the traffic between the endpoints at application level. This allows me to have 100Mbps+ throughput on the VPN link with this router + DD-WRT config. The startup script is nothing more than a set of commands that will be run to create the configuration files on DD-WRT , please be advised that you will have the VPNs in plain text on the configuration, this may pose a security risk. Nevertheless it’s not less insecure than have the full configuration relaying on certificates as if someone is able to retrieve your data from DD-WRT he will also be able to retrieve the certificates. If you really don’t want to have the password on plain text you won’t be able to fully automate the VPN startup process. The iptables rules are need in order to allow access to the different networks, this is the most basic set of rules that will allow the configuration I proposed at the beginning. Finally please don’t forget to change the route-upX.sh scripts to match your needs. Recently I’ve updated my openSuSE 11.4 to the latest openSuSE 12.1, it was a hassle free upgrade and my system is running smoothly, nevertheless I didn’t use one of my favorite features on this laptop, the built-in GSM card. Today I needed it and, bummer, it didn’t work, even if I could see it in network manager, I remembered I didn’t install the firmware (this card needs a firmware to be inserted every time the device boots). So I put the files in /lib/firmware/gobi and run gobi_loader it ran just perfect. Next i reboot the laptop, but it didn’t load the firmware automatically, I’ve checked udev and the entry was missing. Hi today I was using my new laptop (well it has about 1 month now) and I thought in sharing my usage experience with it. My Vaio is a VPCSB and I run it with OpenSuSE 11.4 X86_64. I have a thing for Sony Vaios, this one is my 4th. I like Vaios for their build quality, looks, performance and size as I also travel quite a bit. So after breaking my old Vaio display, I researched a lot (and not only Vaios), I bought this VPCSB, my expectations were very high as my last laptop, a Vaio SZXN was (and still is because it was fixed) an excellent laptop. It worked flawlessly for 4 years with about 12 hours run everyday, lots of traveling, lots of airplane usage and with minor upgrades on memory (2GB ram to 4GB) and a major upgrade this year on the hard drive where I bought a Samsung high performance SSD. Bus 001 Device 003: ID 08ff:168f AuthenTec, Inc. So running with Linux (OpenSuSE) what works and what doesn’t work? Maybe the multi-touch function can be activated but to be sincere I didn’t pay much attention to it. The fingerprint is not working due to Sony (they are failing on us here), the multi touch has a signed firmware that doesn’t allow any application to use it, so it needs a Sony interface application to communicate with the system. What runs and should have trouble running? The webcams are known to be prone to have trouble and this one works like a charm. The internal GSM card also works perfectly in Linux (ID 05c6:9225 Qualcomm, Inc. Sony Gobi 2000 Wireless Modem), just a note, I disabled the PIN request on the ISP chip, I did this because from time to time I lost communication with the GSM device after suspending to ram or disk. The Ati Radeon card works really well with the fglrx driver (even the hybrid features). Let me say it this way… I LOVE MY NEW VAIO! It’s small yet powerful, it has a nice amount of ram, fast SSD, good battery life. The display is great, altought the view angles aren’t that good. In what concerns to mobility I can’t find anything better, I really like the Intel wireless device (supporting 801.11B,G,N), the GSM card it a major feature and it’s a really nice feature to have if you move a lot, and the usual ethernet port also deliveries good performance. What I don’t like at all are the mouse buttons, they are hard to press and noisy. The same happens to the fan if you’re running at full speed (like compiling a kernel), it will get noisy, but you’re just working on Libreoffice, using FireFox it will be just fine. On the other hand the lightened keyboard is great for working late at home or in the plane, you’ll not be searching for keys anymore. Do I tell you to buy this one? 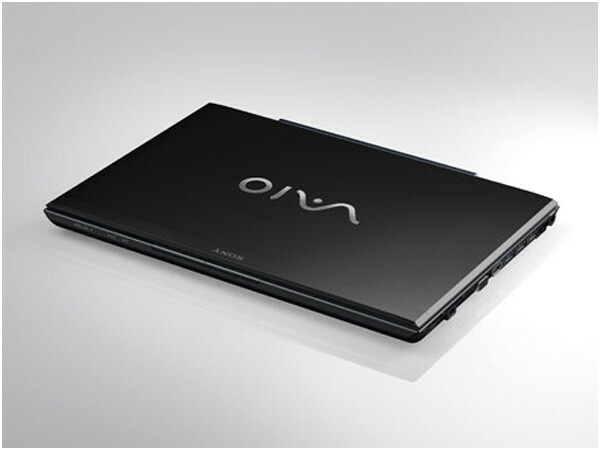 PS – What do I like more than my new Vaio? My new tablet, I’ve also bought a Samsung Galaxy Tab 10.1 but I’ll write about it sometime. New photos of my Hobao Hyper 9… it flies!